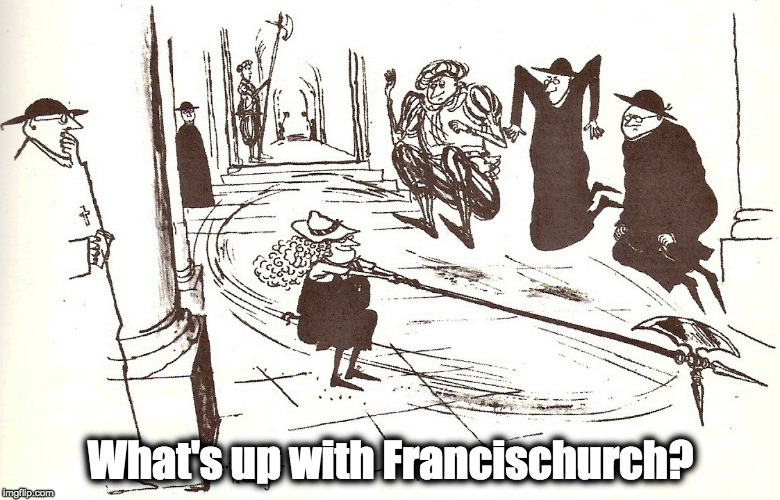 The most vexed religious and political question of our time – What's Up With Francis-Church? So difficult is this issue for modern people – including Catholics – to deal with that it never gets talked about. So I thought we’d talk about it. My good friend Fr. Paul McDonald, who is now involved in the Fatima Center apostolate since Fr. Gruner’s death, talks about it a good deal, but he is one of the few priests I have come across who does. I find Americans particularly have difficulties with the concept that the more monarchically-oriented Canadians and Brits don’t, for reasons that quickly become clear once the teaching is explored. More on this later, but you can do some homework here, here and here.